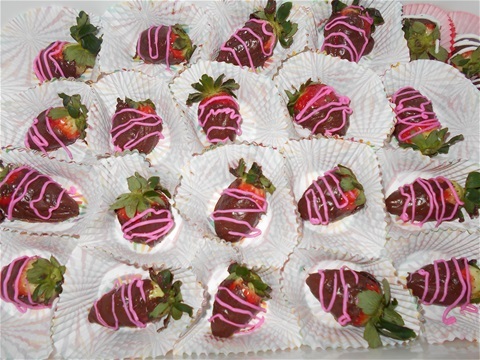 These are chocolate covered strawberries that literally melt in your mouth. The chocolate is handmelted and can come in a ganache, or vegan chocolate. Vegan cost will be a few dollars higher as the vegan chocolate cost more to make.